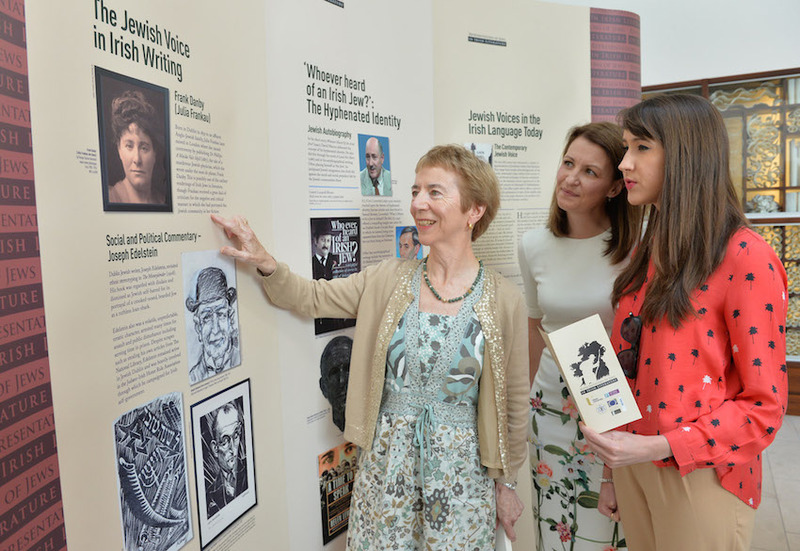 Kerry poet Bríd Ní Mhóráin; Professor Cathy Gormley-Heenan, Ulster University’s Pro-Vice-Chancellor for Research and Impact and novelist Dr Ruth Gilligan are pictured at the launch of the Representations of Jews in Irish Literature exhibition at the PRONI offices. This history of Jewish people in Ireland and how they were represented through Irish literature has been revealed through a joint landmark research project between Ulster University and the National University of Ireland, Galway. Over 1,000 pieces of literature from the medieval period through to modern times were examined over three years to chronicle the stereotypical attitudes towards Jewish people in Ireland. The results expose the prejudice and racism that once existed of the stereotypical wandering Jew for example, but also reveals a later celebration of a vibrant, vocal community at ease with its dual sense of Jewish-Irish identity and culture that made a major contribution to Irish life. The research is the first major output of a £400,000 research project funded by the Arts and Humanities Research Council. 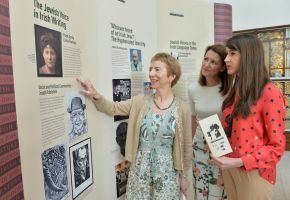 It culminates with the launch of a travelling exhibition which opens at the Public Record Office of Northern Ireland (PRONI) in Belfast today. A database chronicling over 500 entries will also soon be available to the public.